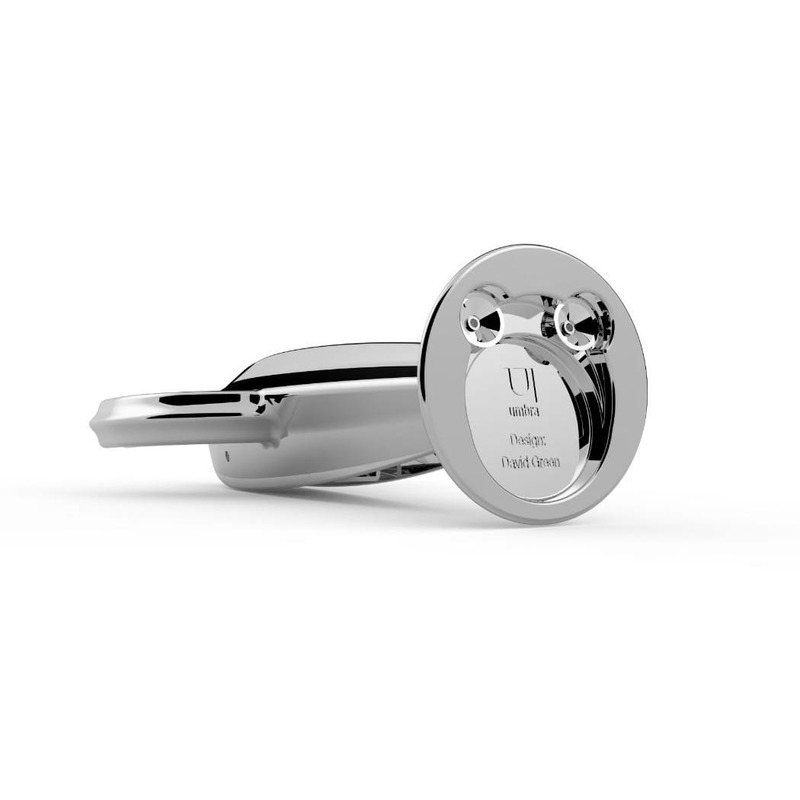 The Umbra Spike Corkscrew is a handy 3 in 1 tool that combines a corkscrew, a bottle opener and a foil cutter in one sleek looking design object. 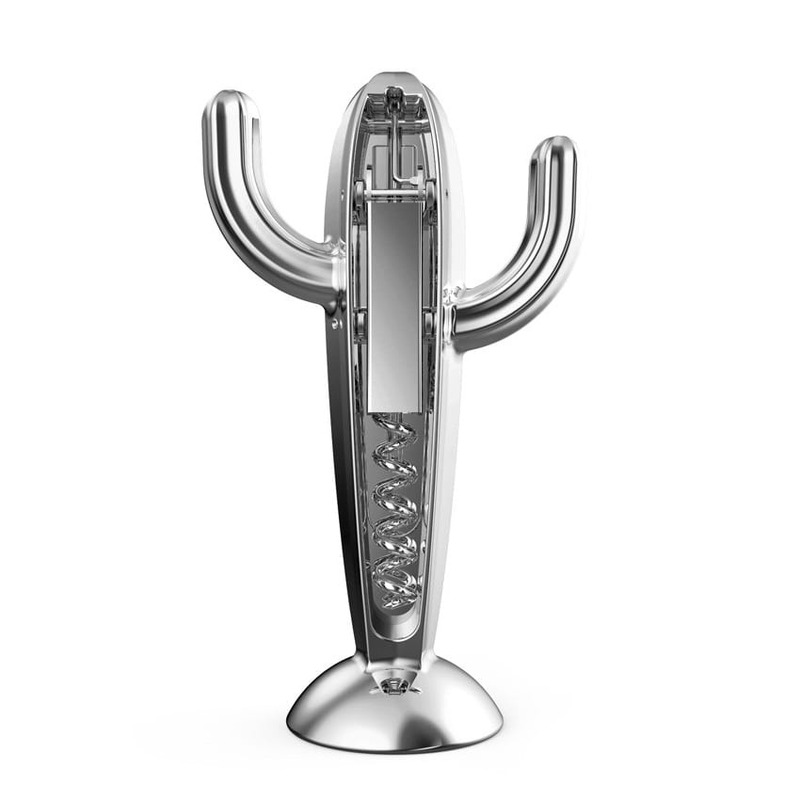 An animated take on a corkscrew, Spike's playful cactus shape conceals a functional and invaluable tool for your home bar. It can cut the foil found on wine bottles, uncork wine, and pop off bottle caps, all while looking astonishingly good. Easy to clean, it's dishwasher safe. 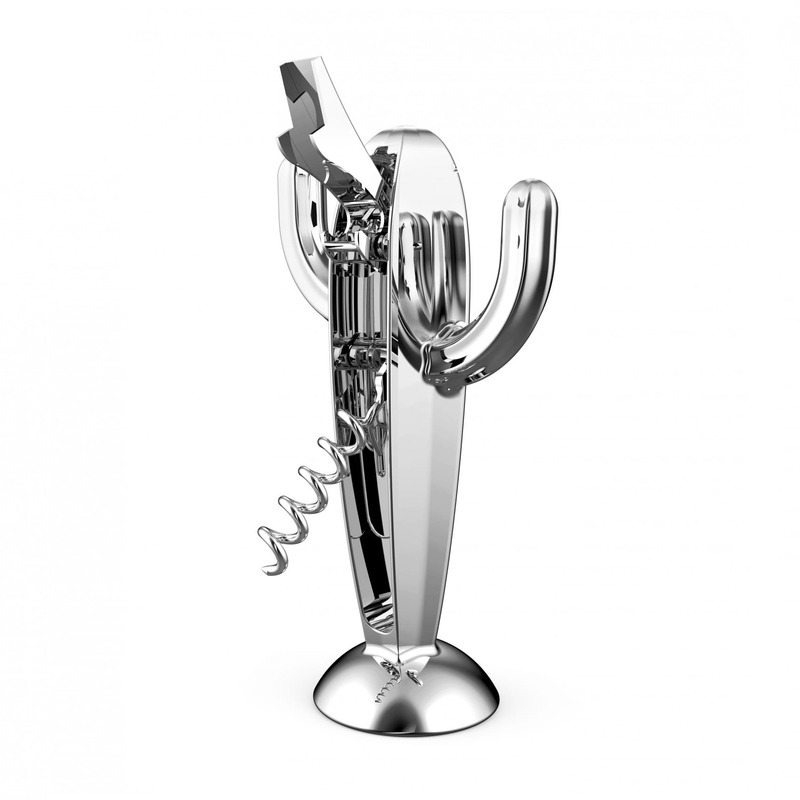 This ingenious multifunctional corkscrew is designed to stand up on the counter for an eye-catching addition to the home bar. Corkscrew, bottle opener and foil cutter in one. 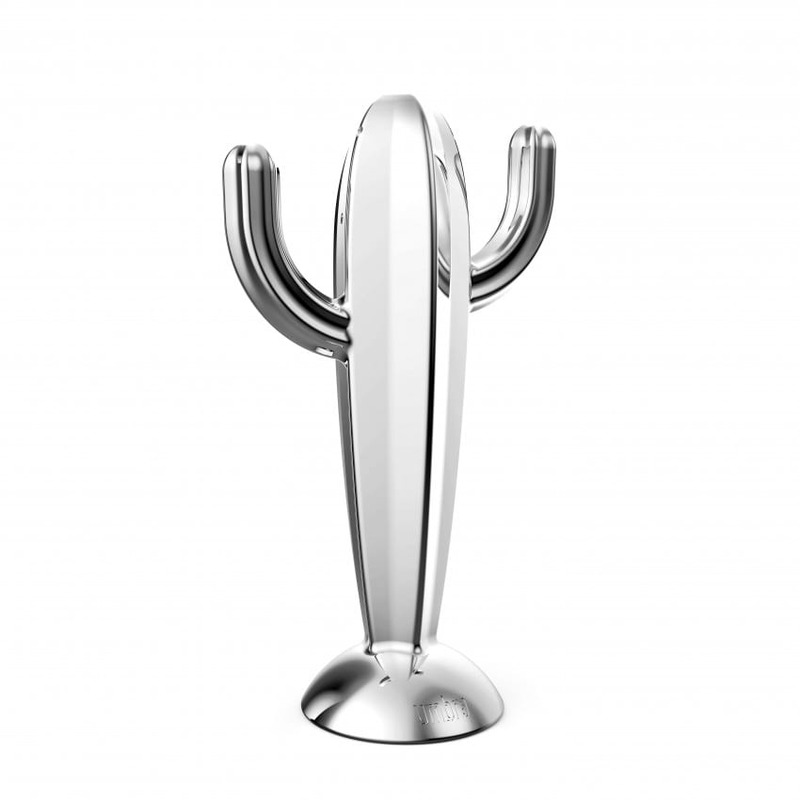 Material: Cast zinc with a chrome finish.